"This was a super production, with an excellent script and songs. The children (all aged between 7 and 9) thoroughly enjoyed their parts and it was so well received by our parents and families. The comedy 'slap-stick' element was fabulous and allowed the children to engage with their characters and contribute their own ideas based on pantomimes and sketches that they had seen. From a musical perspective, the songs each have a very strong sense of style. The children readily cottoned on to them, instinctively developing a sense of fun and understanding. As with all of Craig's works, the songs are not only well written, but musical themes relate across different sections of the production and everything carefully intertwines. There are a few moments of two part harmony writing which are extremely well written so that young children can readily manage them and, in one case, setting up one part as one verse, the second part as the next verse and then puts them together simultaneously. We performed this on a very small stage, but still managed to include plenty of movement and dances throughout the performance. Our staging was fairly simplistic; an area for the Hare and Co Offices with a desk and several keyboards and phones, a small coffee table for the Hare House set for breakfast and the rest of the stage for the forest and village. We also adapted the sunflower trick to have a coiled one in the briefcase which was pulled out by Henry Hedgehog." "What a wonderful show. We had a marvellous time performing this for our school community. The whole school, of 150 children, were involved with a few adjustments to parts and by creating whole class participation sequences. We had rave reviews from far and wide with the comment; 'That was the best show I have ever seen performed by a school! " We were all very proud and happy with the result. 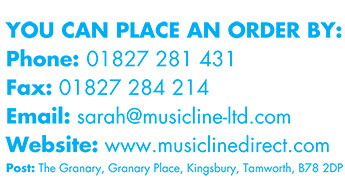 Thanks so much Musicline for the excellent easy to use resource. (Now checking out our next show!)" "Absolutely amazing play ! I loved playing a part with lines, and my fellow friends agreed and thought it was a great play to put on. Good job, as it was entertaining, funny and interesting." ""Year 3 and 4 really enjoyed Doing this production we found the script and characters really funny."" "Best music I have ever herd in my life and very funny." "We have just finished our run of performances of this excellent show! Everyone loved it and were thoroughly entertained for the evening. The magic of this show is that it allows so many children to have their “starring moments” on the stage and the audience participation just creates a special atmosphere. Would recommend this show without reservation, especially as a leavers’ performance for Year 6 children and hope that others enjoy it as much as us!" "The audience had a blast and many have commented that they still cannot get the tunes out of their heads - really catchy stuff! The script is packed with humour and the characters are memorable and enjoyable to play. As Head of Drama for our school I would strongly recommend directing this musical to other drama teachers." "This show was a joy to direct, choreograph and produce. The tunes were catchy and the funny lines had the audience in fits of laughter. One of our most memorable and talked about school productions! The children had a blast!" "This was the best show ever seen in the history of our school. The script is full of humour and the children really enjoyed the buzz from entertaining the audience. Definitely a 10/10 show!" "This was a great success. It is naturally funny and got more laughs than any production I have done before!" "We have just finished our season of "Zoom" to get reviews from school community and beyond. This is the musical that has brought our students together and has built relationships that will last. A fun show with plenty for the young and young at heart." "A really brilliant mix of comedy and emotion, made for the enjoyment of everyone, from the audience to the actors. A perfect example of a dilemma, yet funny all the way through. We really enjoyed putting it together." "A fantastic script and CD filled with superb, catchy songs that both the children and the audience loved! Great sound effects and short musical clips to cover the scene changes. Would recommend to any school who want a wonderful performance!" "Well written with jokes that the children understood! We performed this with 90 children, good range of parts. One of the best children's musicals I've performed." "Absolutely fantastic. Highly recommended. The boys loved rehearsing and performing this musical. Very amusing script." "We have just finished our production of ZOOM. The show was a true hit in the village and with the 40 children taking part! We all had fun working on it and found the directions simple and easy to follow. Thank you Craig Hawes!" "OUTSTANDING MUSICAL. Exciting roles and parts for everyone highly recommended. BRAVO!!!!!!!" "Excellent! 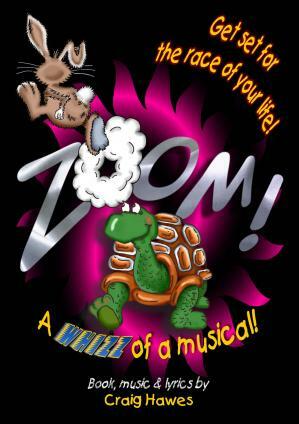 Zoom was our first production from this company and it went down extremely well. The music was spot on, not to mention how much the kids enjoyed it. THANKS!"